Flash firmware back. For now u can't downgrade bro. The device is bricked with no display, hence cannot do anything. Though can flash TWRP as it bootloader was unlocked, but cannot force it to go recovery mode..since device always is in fastboot mode when connected to a system. Fake Sloution Hope make new update soon!!! No response, I am not spending any penny on this useless dongle service. 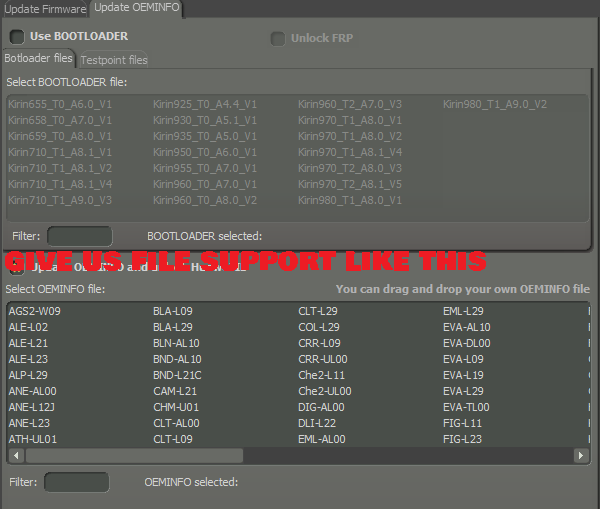 thanks for guide but where to download the boot file and see tp? Hi, My device is DUK-L09 having Kirin960 and there is no updated (EMUI 9) bootloader available in DC-Phoenix. Since the device was already running EMUI 9 (Pie 9), downgrade to Nougat bricked. Com1 is detected, due to no bootloader of Pie (EMUI 9), I am stuck.